IVA Seals for smaller syringes. 3-3/8 length.Assures the security of needle covers, syringe caps, box tops and other medication containers. 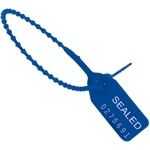 Tamper Syringe Seals with Preprinted Messages. 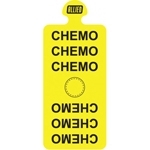 Non-sterile seals can be used on all types of syringes, vials, boxes, otic/ophthalmic containers, etc. Molds easily to the syringe cap or sheath. Wrinkle and tear when removed.